1. The Data and Reports page offers concise information on HIV statistics from countries within the region garnered from trusted sources including UNAIDS and CARPHA. Click here. 2. The Document Library offers users the ability to upload their original case studies, strategies, best practices and other policy documents for dissemination to the entire Partnership. Only PANCAP members and partners will be allowed to upload documents by signing in with their Facebook, Twitter, LinkedIn or Google accounts. Click here to upload your best practice or case study now. 3. PANCAP Voices is a series of specially created podcasts which feature audio clips and quotes from a diverse selection of PANCAP members on topics related to ‘Treat All’ and other HIV discussions. The concise audio clips offer just the right amount of information and inspired thinking to aid NAP Managers, clinicians and civil society leaders with their work implementation. Click here to listen now. 4. The webinars page highlights current and upcoming webinars by the PANCAP Coordinating Unit. If you missed a webinar simply click on the topic to access the powerpoint presentation and a video of the entire webinar. Click here to view PANCAP webinars now. 5. The PANCAP ‘Treat All’ Knowledge Suite is a significant feature of the redesigned website launched on Friday, July 21. The Knowledge Suite consists of three (3) products designed to guide National AIDS Programme Managers, clinicians and other technical experts with the implementation of an effective ‘Treat All’ programme. It consists of 1) a Standard Roadmap for the Implementation of ‘Treat All’, which offers guidance on the fundamental steps for effective incorporation of ‘Treat All’ into a country’s HIV and AIDS response. 2) The second product is the Barbados ‘Treat All’ Case Study, another tool for the implementation of ‘Treat All’. This provides the Partnership with a clear and concise illustration of the process utilised by the Government of Barbados, through the Ministry of Health, in the implementation of the successful Barbados ‘Treat All’ programme. 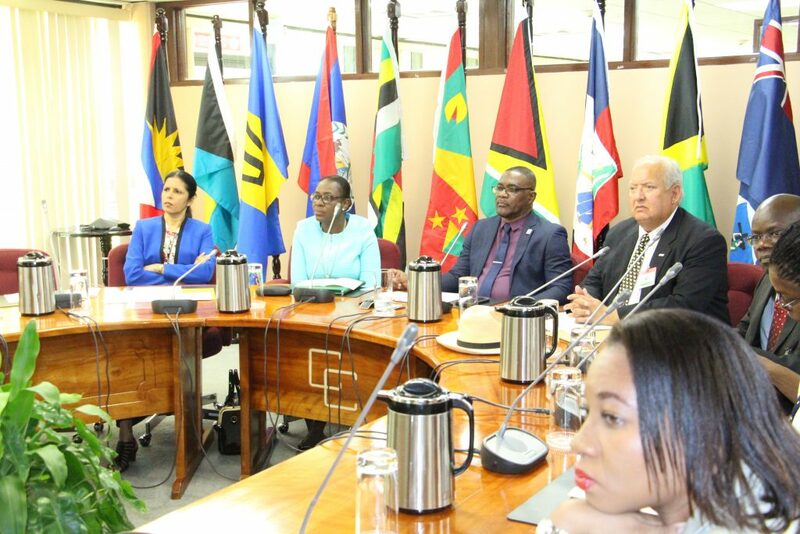 It was vital for the PANCAP Coordinating Unit to document the Barbados experience and share it with the Partnership since it is a best practice within the Region. 3) The third and final product is an animated video illustration, which highlights the effective actions required for the implementation of ‘Treat All’ and offers background information on the process. Click here for the Knowledge Suite. PANCAP members are urged to make the redesigned website their homepage as new updates will be posted daily.